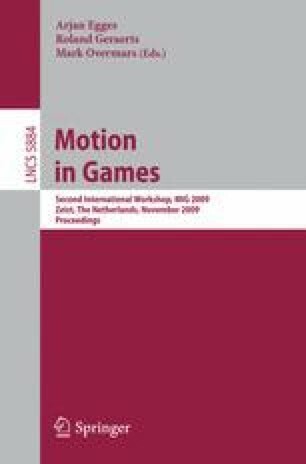 The growth of motion capture systems have contributed to the proliferation of human motion database, mainly because human motion is important in many applications, ranging from games entertainment and films to sports and medicine. However, the captured motions normally attend specific needs. As an effort for adapting and reusing captured human motions in new tasks and environments and improving the animator’s work, we present and discuss a new data-driven constraint-based animation system for interactive human motion editing. This method offers the compelling advantage that it provides faster deformations and more natural-looking motion results compared to goal-directed constraint-based methods found in the literature.